Loch Ness Footgolf is making its name at the Loch Ness Golf Course, Castleheather, Inverness. Adjacent to a Travelodge, this is a perfect spot to try out this new sport if you are a holiday maker in the area. Footgolf has been fully integrated in to the 9-hole course which is 1025 yards long with Par 37. The joy of Footgolf is that anyone can have a go and gain enjoyment no matter the challenge, and the Loch Ness course offers a variety of undulations and significant water features. The scenery here is simply superb, with fantastic views towards the loch. 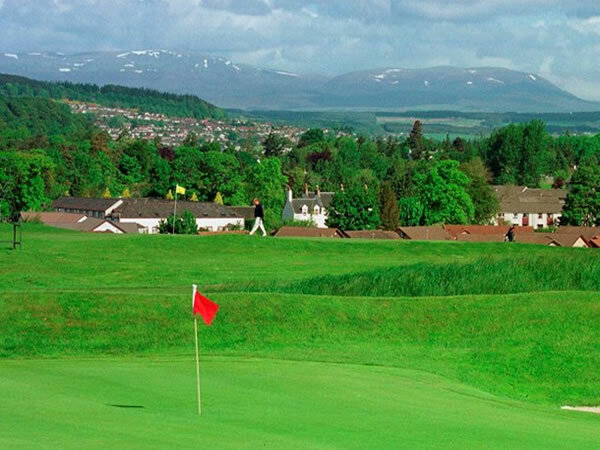 The Loch Ness Golf Course was designed with relaxation and sociability in mind, and therefore the pine clad clubhouse is cosy, welcoming, and definitely the place to be after a Footgolf game. Footballs are provided free of charge and friendly staff are on hand to guide you and give you tips.